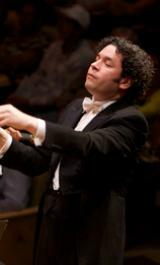 In this tour the Mahler Chamber Orchestra reunites with conductor Gustavo Dudamel for performances in favourite European venues. The MCO was last heard in Barcelona in April 2018; it has a very close connection to this city, and especially to the Palau de la Música. Franz Schubert’s youthful and sunny Third Symphony pairs with the outwardly playful yet contemplative Fourth Symphony of Gustav Mahler, an especially fitting repertoire for the Mahler Chamber Orchestra and Gustav Dudamel, as each exemplifies youthful spirit and energy in music making.